Find a Certified Nature Retreat Leader Near You! who offer many different kinds of retreats in Nature. Dan Watson is a Certified Nature Retreat Leader that brings his love of people and the Texas landscape to his retreats. He partners with his wife, Sherry Haferkamp, to offer retreats to people who are healing through divorce, addiction and other hard life transitions. They bring their backgrounds in therapeutic models to the programs they design in Nature locations. 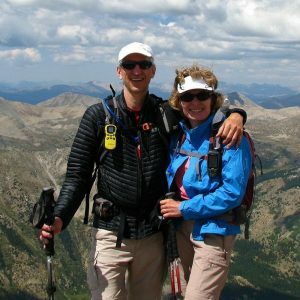 Dan and Sherry work with couples and families to restore hope by leading outdoor experiences at the campfire, star gazing, hiking local trails and more. They are strong mentors and role models for people who have known the challenges of disappointment and who are on a path to heal their rugged hearts. 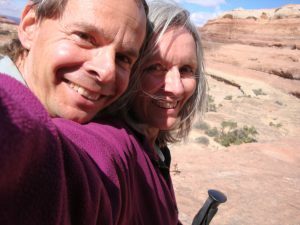 Judy Jasek and Chris Roth are Certified Nature Retreat Leaders and offer retreats in beautiful places. Both Judy and Chris have spent years experiencing Nature and its profound healing. They are avid trail hikers, snowshoers and backpackers. Their friendly and infectious style makes people feel at home in all settings. They specialize in taking eager outdoor people to a variety of locations in Colorado and beyond. Their work with outdoor retreatants is based on the belief that people can create the life of their dreams and the retreat experience can open doors to new possibilities. They enjoy educating people about how connecting with Nature is essential to one’s health and well-being; a foundation that will nourish our relationships with family, friends, work, the earth, and even our pets. Lisa Garcia is a Certified Nature Retreat Leader and an outdoor enthusiast who finds joy, inner peace, harmony and love in the beauty and abundance of nature. 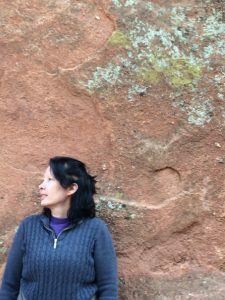 Using nature as her medium, her work focuses on developing human capability through self-discovery and helping others co-author a life that is both meaningful and fulfilling. Lisa believes our talents, strengths and imperfections all combine to make us unique beings with gifts to positively impact the world. Lisa currently owns and operates INDIGO Nature Retreat located in the Pisgah National Forest. The forest boasts lush hardwoods, mountain streams, huge moss covered boulders and abundant wildlife. INDIGO is a place where nature, meditation, yoga and art combine to slow the world down and enable the mind, body, spirit connection. INDIGO is a place where Spirits are emboldened to be authentic, rise to life’s challenges and blaze new trails …all for the purpose of positively impacting the world. Although INDIGO is available for retreat rentals, Lisa leads women’s Nature retreats throughout the year. 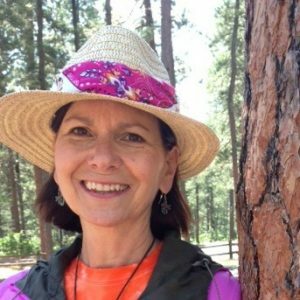 Reggie Weber is a Certified Nature Retreat Leader,​ Certified Retreat Coach and Holistic Health Nurse who practices healing touch for animals and educates clients on the benefits of essential oils. She is an experienced Naturalist and takes people on horseback and foot into the big open western landscape. Nature Navigators offers fun opportunities in the Pittsburgh area to support togetherness outdoors. Directed by Certified Retreat Coach and Nature Retreat Leader Ursula Lesic, this organization offers Nature-based retreats and events that help people get outside. With a background in Human Resources and Fortune 500 companies, Ursula understands the competing priorities that are placed on individuals and families in their busy lives. She also offers professional talks about the value of Nature to conferences, companies and educational organizations and is available to develop programs to meet your team’s needs. 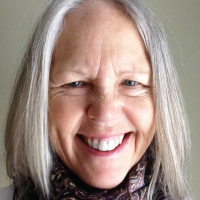 She offers retreats located in beautiful settings in the eastern U.S. that blends the distinctions of meditation, movement, and collage with coaching. Ursula inspires trusting the “Leader in You” and in building communities of people who understand and appreciate the value of Nature. 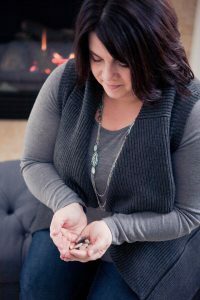 Andrea Wazny is a Life Coach, Certified Retreat Leader and Certified Nature Retreat Leader and offers retreats in beauty-filled locations in Michigan. She is a wife and mother whose passion is helping professional women find more happiness and fulfillment in their lives while realizing and achieving their highest potential. Andrea’s personal philosophy is that you must challenge your mind to change your life. meaningful way. Andrea couples her love of nature and faith into her retreats along with soul work to bring forth a transformational experience. Her retreats include such topics as faith & family, purpose, clarity, self-care, self-awareness, and personal growth. Chris Weidner combines his love and knowledge of nature with people and environmentalism during the retreats he leads in the clean crisp air of Colorado. 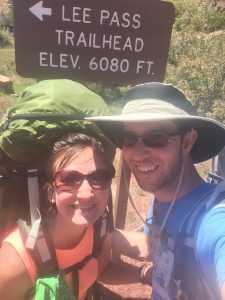 He offers guided hikes and other outdoor Colorado experiences. 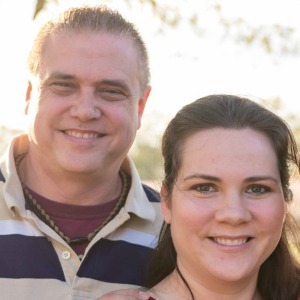 He also partners with his wife, Certified Retreat Leader Amanda, to awaken new experiences, and create space for growth in the spirits of their retreatants. As Certified Nature Retreat Leaders they both believe that while exploring and learning are valuable, it is important to allow nature to speak to you. They also invite clients to experience the deep silence of nature and to find meaning in those moments. 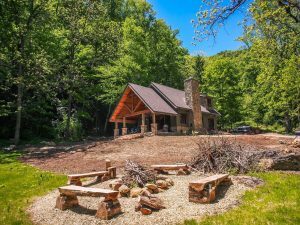 Their main goal is to give their retreatants a chance to experience the healing, soothing, and inspiring side of Nature during their one day and weekend retreats. They know that taking the time to let Nature back into your life is the best way to reset, relax, and reinvigorate. Helene Van Manen, Director of www.RetreatCoaches.com and “Ranger” Dave Van Manen, Environmental Educator. This comprehensive training develops graduates who become eco-literate and skillful in guiding people in meaningful outdoor experiences combined with the sensitivity of the retreat process. Want more information? Get the details here.